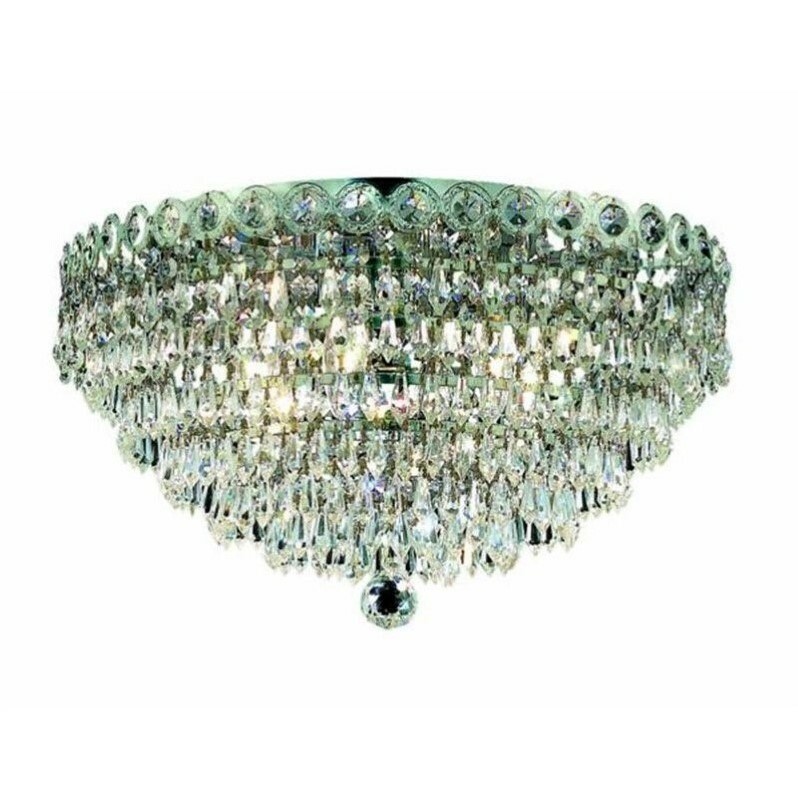 The Century collection is a classic 19th century french inspired chandelier consisting of flowing lines of light refracting crystals gently dropping down into a bell shape. Each layer is banded with crystal octagons and a single crystal spear. A column of chrome or gold inside with soft candelabra bulbs allows the glow from within to peek between the crystals strands.